Integrated planning and reporting is an organisational framework used to identify our priorities that drive the Shire’s operations. The framework consists of a number of strategic plans for identifying and prioritising local issues. The Strategic Community Plan is the highest level integrated strategic corporate planning document, setting out the long term vision of the community for the next 10 years. Providing a basis for monitoring progress against the community’s vision and aspirations. Following extensive community engagement the Shire adopted a new Strategic Community Plan for the next ten years covering 2017 to 2027. The Strategic Community Plan was presented to Council on Tuesday 28 November 2017 at the Ordinary Council Meeting. Minor modifications were subsequently adopted by Council at its Ordinary Council Meeting held 24 April 2018. The plan applies to the district of the Shire of Katanning. The Corporate Business Plan is a key component of the Shires Integrated Planning and Reporting Framework and is the organisation’s commitment to activating the Shire’s Strategic Community Plan. The Shire’s Corporate Business Plan builds on the identified directions from previous plans, with an emphasis on meeting commitments and expectations now and into the future. The Corporate Business Plan maps the Shire of Katanning's key priorities, projects, services and actions over the next four years. It provides the detail for the first years of the Strategic Community Plan as well as detailing business as usual service delivery. The plan is reviewed annually to prioritise or re-prioritise projects and services. The Corporate Business Plan was adopted by Council in April 2018. The Annual Budget is the annual operation plan. This plan contains a high level of detail of the Shire’s budget, actions and projects, and is developed each year for the next four years based on the Corporate Business Plan. 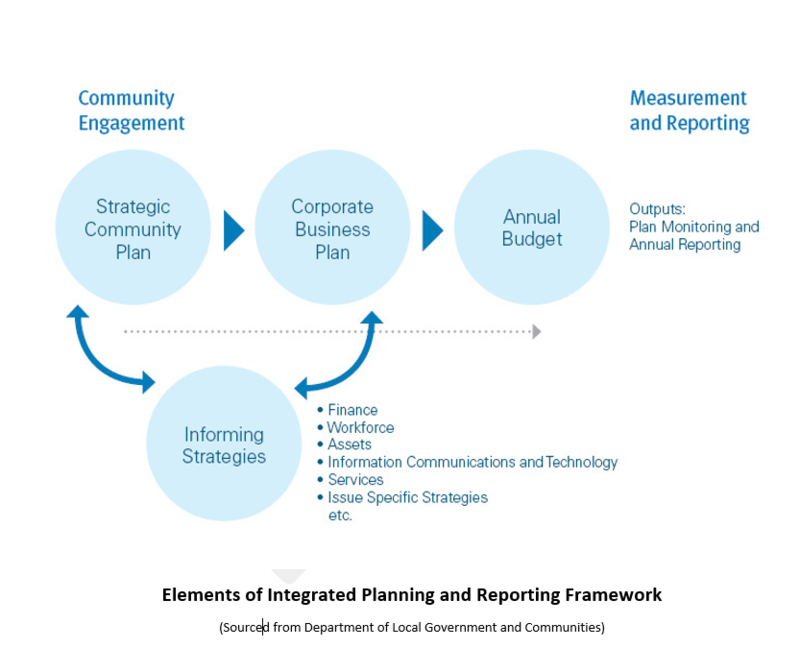 Informing strategies inform the Corporate Business Plan to activate Strategic Community Plan priorities. The below plans are currently under progress. The Asset Management Strategy and Plan provides detailed information on the type and condition of our assets and their expected renewal requirements. They are prepared to assist council in improving the way it delivers services from infrastructure.